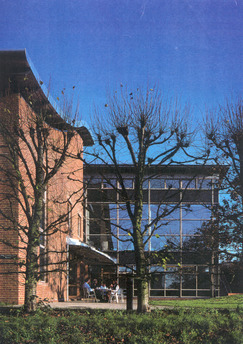 The Kempe Centre was designed as a new low-energy library, learning and resource centre for Imperial College at Wye, Kent, a rural out-post of the University. 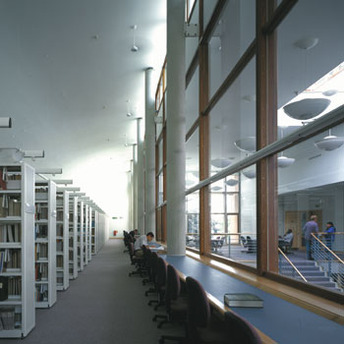 Green values were fundamental to the design, combined with the underlying purpose of responding to technological developments in library management. 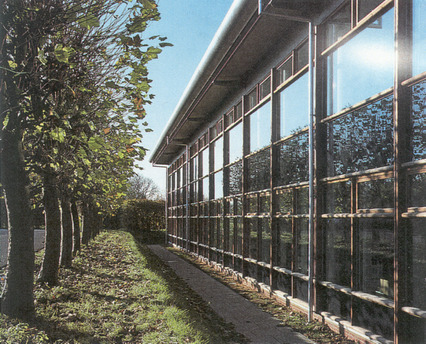 The energy strategy for the building centred around the reduction of heat losses and gains using high-performance materials and the maximisation of daylight for the reduction of electrical lighting loads. Exposed concrete soffits exploit the thermal flywheel effect and the high ceilings encourage stratification in summer on the upper floors. 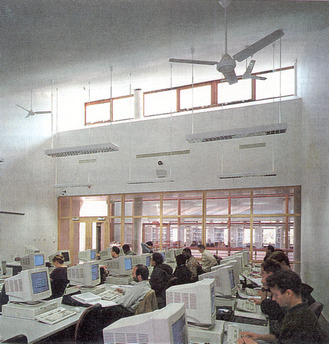 The building has a background mechanical ventilation system with high-efficiency heat recovery.